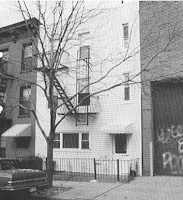 Note: Red House Brooklyn refers to a song lyric in "Joey" by Johnny Thunders not Red Hook Brooklyn. On November 4, 2008, America changed. On that day, the Chicago Machine went national with the election of Barak Obama to the Presidency of the United States. While the media largely failed to examine the implications of this, the Chicago Way style corruption of our core institutions once almost ripped the very fabric of our society apart. An elite class that maintains power and extorts money via the corruption of various institutions including political parties, the judiciary, public services, governmental bureaucracy, unions and business. Leon would know, he was a Chicago City Alderman who clashed with Mayor Daley for 30 years. He was also a communist that, like our current President, cloaked his nefarious agenda by veiling it as an effort to promote equality for minorities and the disadvantaged. When one looks closely at his agenda, he was not against the Chicago Machine so much as co-opting it for his own socialist purposes under the guise of equality. 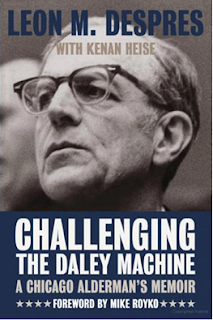 After Daley died in 1976, and his legendary machine began to splinter, the independent coalition Despres helped create and unite, made up of white lakefront liberals, young anti-war demonstrators and minorities emboldened by the civil rights movement, paved the way for the election of Washington in 1983. A little over a decade later, in 1996, the remaining pieces of that coalition helped elect a young community organizer named Barack Obama to the Illinois Senate. In a statement Wednesday, President Obama said, "Through two decades on the Chicago City Council and a long lifetime of activism, Len Despres was an indomitable champion for justice and reform. With an incisive mind, rapier wit and unstinting courage, he waged legendary battles against the corruption and discrimination that blighted our city, and he lived every one of his 101 years with purpose and meaning. I have been blessed by his wise counsel and inspired by his example." 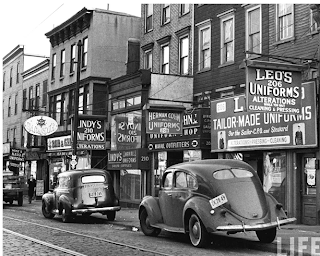 While the Brooklyn of Capone's youth has largely disappeared, the rackets remain. While they now hide their dark intent under veils of equality and progress, Capone would recognize them for what they were: An elite corruption of basic institutions for profit and power at the expense of the lower and middle class. Rose - Born 1910, Died in infancy. Today, nothing remains of the neighborhood where the Capone family originally lived. 1) The replacement of private housing with large scale public housing. 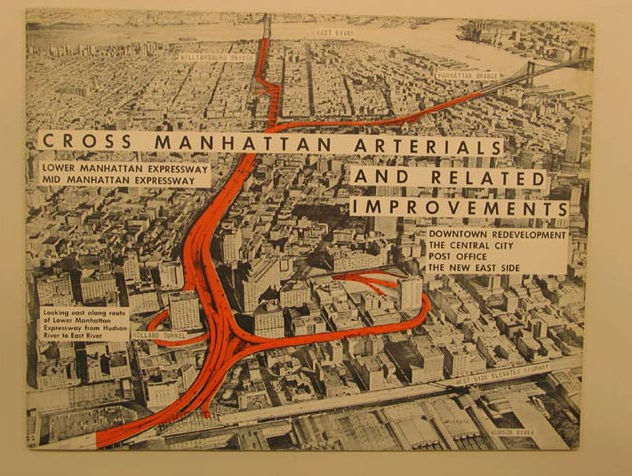 2) The dismantlement of the elevated train and streetcar network with an elevated freeway. 3) The closing of the Brooklyn Navy Yard. 4) The building of the Con Edison Power plant. "A hundred times have I thought New York is a catastrophe and 50 times: It is a beautiful catastrophe"
The once vibrant neighborhood where Capone lived has been replaced with barren public housing inspired by the ideas of a Swiss Architect, Charles-Édouard Jeanneret, better known as Le Corbusier. "Le Corbusier [was] ... the leading architectural hoodoo-meister of Early High Modernism, whose 1925 Plan Voisin for Paris proposed to knock down the entire Marais district on the Right Bank and rece it with rows of identical towers set between freeways. Luckily for Paris, the city officials laughed at him every time he came back with the scheme over the next forty years – and Corb was nothing if not a relentless self-promoter. Ironically and tragically, though, the Plan Voisin model was later adopted gleefully by post-World War Two American planners, and resulted in such urban monstrosities as the infamous Cabrini–Green housing projects of Chicago and scores of things similar to it around the country." 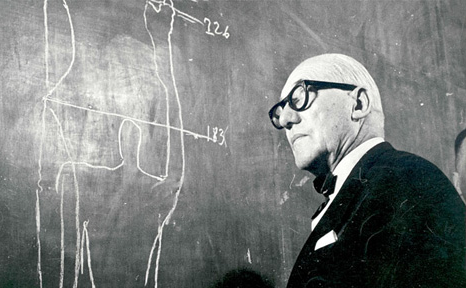 Fortunately for Parisians, even the French government laughed at Le Corbusier. 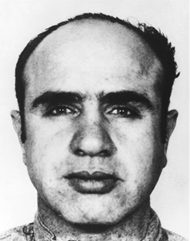 Unfortunately, for Soviet citizens and urban dwellers in the United States, he was taken seriously. 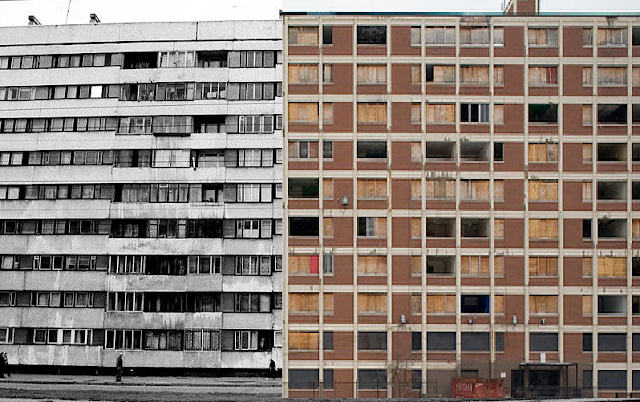 Reader Test: Choose which structure below is a Soviet era apartment block and which one is a US government sponsored housing project. NY City Map provides a cool tool to view how a neighborhood across time. *The University Towers were/are technically not a public housing project. They were created as student and faculty residences for the adjacent Long Island University, Brooklyn Campus. 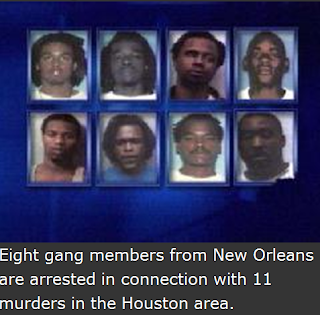 They were mismanaged by the university and allowed to run down. They have since been bought out several times by private management companies that have been hamstrung in their efforts to renovate the place by rent control laws and lax record keeping by the university making it hard to establish who is/was actually a legal resident. The latest owner seems to have finally had some success in turning the towers into a co-op. The design creates an urban environment, interacting with the landscape on both sides of the six-metre tall perimeter wall. 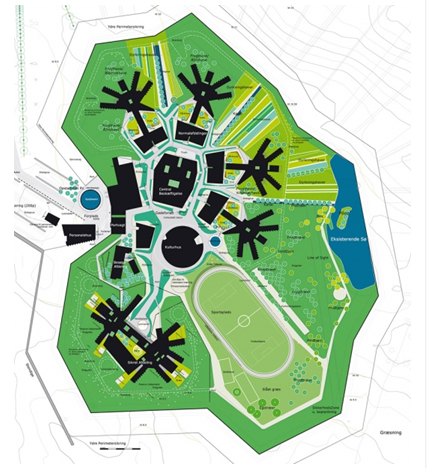 For this compact, urban structure means that there is also left space for natural and cultivated areas, areas for animal husbandry and for the integration of sports facilities in the landscape within the perimeter wall. To those of you familiar with Greek Mythology, you know that this refers to Elysium, a section of the underworld where the virtuous and heroic reside. It is also famous in American history as the Birth Place of Baseball or one of the birth places. When JohnQuincy moved into a basement apartment across the street from it, Elysian Fields meant terrifying nights waiting for hordes of Puerto Rican youths from the nearby housing projects to kick in the door. I remember the drill of wrapping jackets around arms to better ward off blows with my room mate grabbing his flick knife and me a butcher knife. We would both stand on each side of the door, while one of the gang members would jump into the door from top of the stairs, hoping it would hold, shouting that the apartment was occupied and that we were armed (a lie). 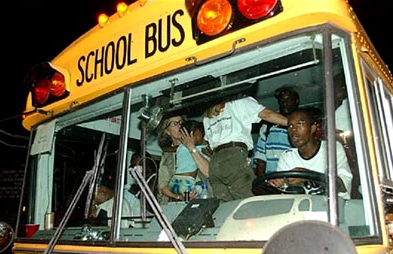 Luckily, the door always held and the gang(s) would leave soon after hearing our shouts. 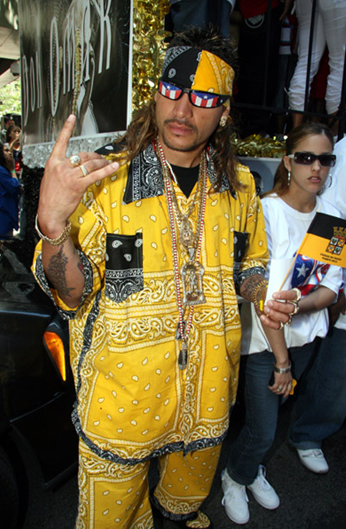 Contrary to popular imagery, the Puerto Rican gangs at that time wore what appeared to cheap Hawaiian style flowered print shirts with matching flowered knee length shorts. The image to the side is the closest that I could find showing what they wore at the time just substitute the paisley for an even more garish flower print. Many years later, after much effort to obtain a university degree and professional license. I decided to established my family in an area with good housing and schools so JohnQuincy found himself in Katy Texas. JQ seized on moving to Katy Texas after it had come up tops in several Internet searches for: Excellent Schools, Affordable Housing, Great Job Market, Low Taxes and Low Cost of Living. It was a shock to learn that all my years of effort were wasted when my daughter started coming home upset because her school had been upended with Katrina refugees who had taken to living long term in hotels up by the freeway using government supplied vouchers. 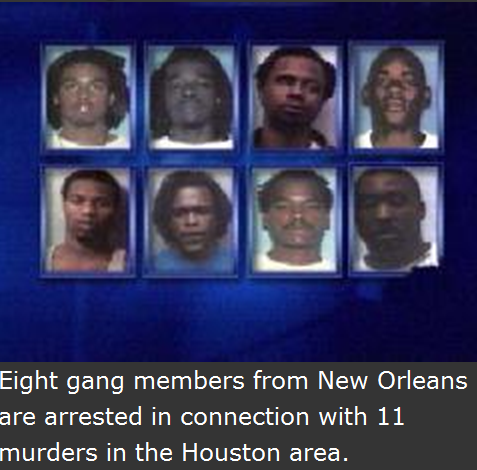 A multilevel gang task force in Houston yesterday announced the arrests of eight hurricane refugees from New Orleans — a group Houston police say is responsible for at least 11 slayings and numerous burglaries and thefts in the metropolitan area since November. By late 2005, owners were eager to lease to hurricane evacuees, who had their rents guaranteed by the government. But that guaranteed source of income promised by the government came with a catch: The owners were not allowed to screen their new tenants based on criminal or rental history. "The Katrina people, they came in, and everybody thought it was the savior for the property, because we were going to fill it up," said Bill Strickland, a California real estate investor who estimated he lost about $250,000 — and most of his net worth — when banks foreclosed on his four vacant buildings. 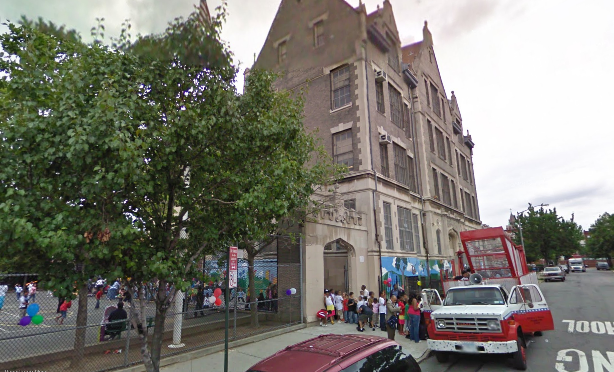 "That was one of those places that was crazy, to be honest with you," said Roderick Williform, a city worker assigned to a task force that helped evacuees find housing through a rent voucher program. "One guy came and told me, 'They took my commode. They took my cabinets.' "
In 2007, Surfjan Stevens performed what will probably be noted as one of the most important pieces of new music for the 21st century, BQE (Brooklyn Queens Expressway). He wrote this surprising work after being commissioned by the BAM (Brooklyn Academy of Music) to write a symphony about his adopted home, New York. 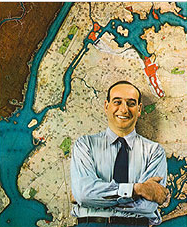 For someone who is not a household name, Robert Moses is one of the most influential and controversial figures in 20th century America. It is to him we owe, depending on how you look at the subject, a debt of gratitude for large scale public works managed and funded by quasi-governmental agency with little oversight by democratically elected officials or the public. Moses' plans for the expressway were contested by Jane Jacobs. 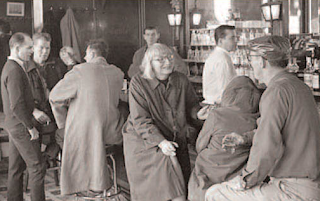 She fought to save Manhattan from the Corbusien dreams of Robert Moses and won. Why do some neighborhoods attract interested and responsible populations and why do others degenerate? Why are Boston's North End and the eastern and western extremes of Greenwich Village good neighborhoods and why do orthodox city planners consider them slums? What alternatives are there to current city planning and rebuilding? Conventional city planning holds that cities decline because they are blighted by too many people, by mixtures of commercial, industrial and residential uses, by old buildings and narrow streets and by small landholders who stand in the way of large-scale development. 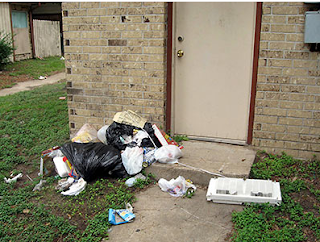 Such neighborhoods, they insist, breed apathy and crime, discourage investment and contaminate the areas around them. 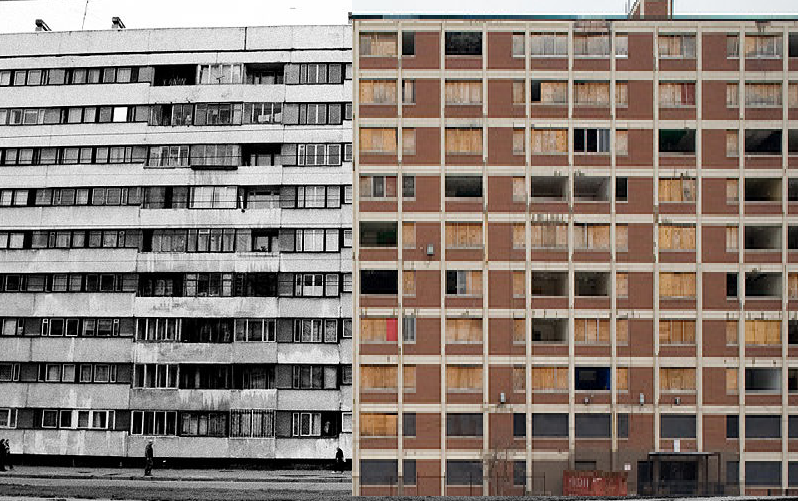 The response of con-ventional city planning is to tear them down, scatter their inhabitants, lay out super-blocks, and rebuild the area accord-ing to an integrated plan, with the result, as often as not, that the crime rate rises still higher, the new neighborhood is more lifeless than the old one, and the surrounding areas deteriorate even more, until the life of the whole city is threatened. 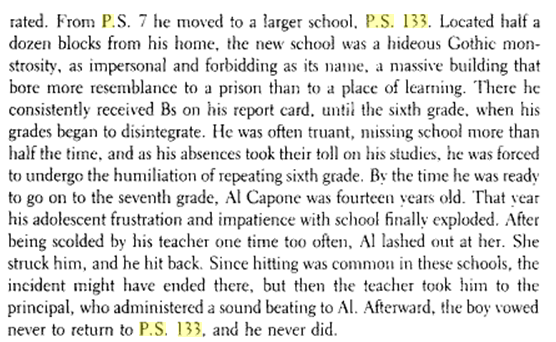 She was too late to save the neighborhood that the Capones's first moved into. 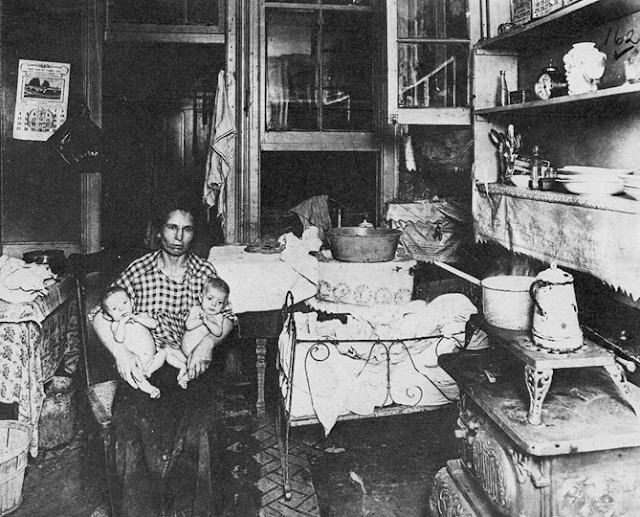 Their first home in America was in a tenement at 95 Navy Street, Brooklyn NY. 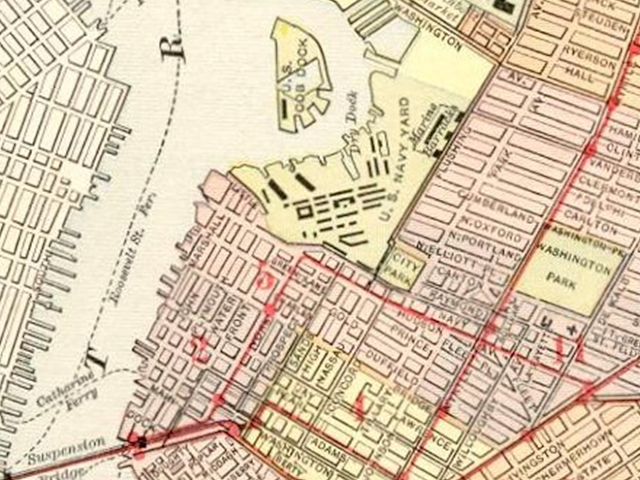 The Navy Yard District, spreading south and west of the yard from the East River, is a shapeless grotesque neighborhood, its grimy cobblestone thoroughfares filled with flophouses, crumbling tenements and greasy restaurants. It is bounded on the west by the Manhattan Bridge; while beyond the dull waters of the East River looms the New York sky line, like the backdrop of a stage set. In the nineteenth century the region was a residential district known as Irish Town, because of the predominantly Irish population. 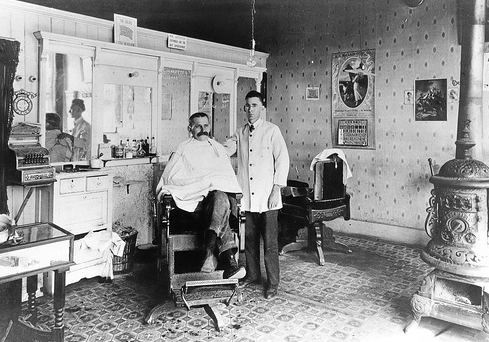 After the turn of the century, business and industry took over parts of the neighborhood and the pleasant homes fell into neglect. 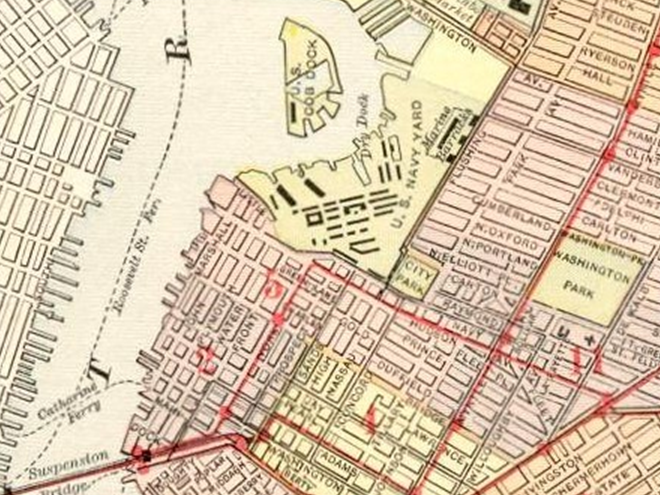 The population now is largely composed of laborers from local factories and the Navy Yard. Sands Street is the principal thoroughfare, extending westward from the Navy Yard to the head of Brooklyn Bridge. 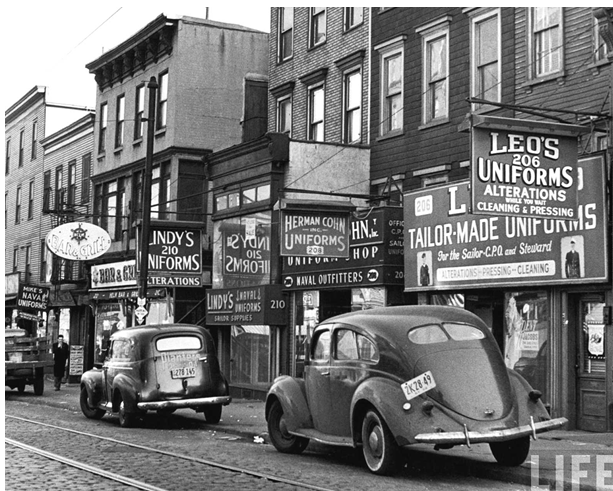 Once this street, with its saloons and gambling dens, came close to establishing itself as New York's "Barbary Coast," and during the Prohibition era parts of it were patrolled to keep Navy men away. Today Sands Street still caters to sailors and Navy Yard workers. 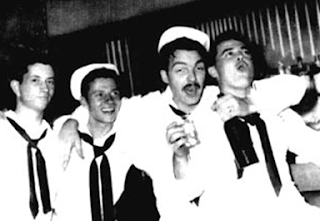 Shop windows display outfits for sailors; bars and lunchrooms, quiet during the day, become alive at night as their customers arrive. The area north of Sands Street toward the river is crowded with industrial plants, warehouses, and factories which charge the air with their mixed aroma of chocolate, spices, and roasting coffee. Scattered among them are ramshackle frame houses--notorious firetraps of squalid appearance. South of the Navy Yard is a residential district of only slightly better character. 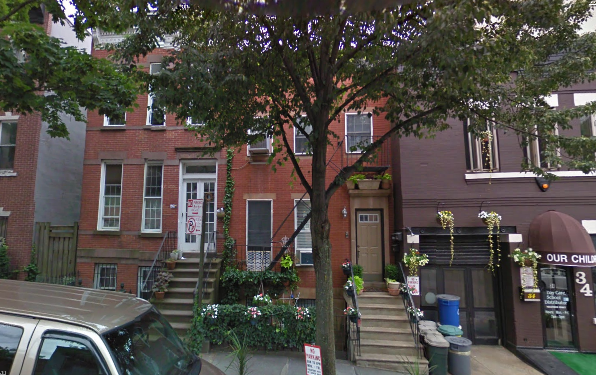 First to 21Garfield Place and shortly thereafter to 38 Garfield Place, Brooklyn, New York, NY in the Park Slope section of the city. Here is a map showing the route from the Navy Yard apartment to 38 Garfield. The 21 Garfield Place wood frame house no longer exists. It was up for sale as recently as the summer of 2006. It appears that a developer bought out that section of the neighborhood and has torn down the structures in preparation for a much bigger building. 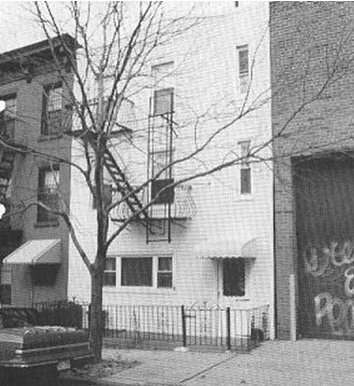 A good picture of the place can be found at this link: NY Times - For a Mobster’s Home, a Cool $1 Million.